I’ll admit it: I’m a damn brat. I can get really upset when things don’t go my way — in a relationship, at work, wherever. 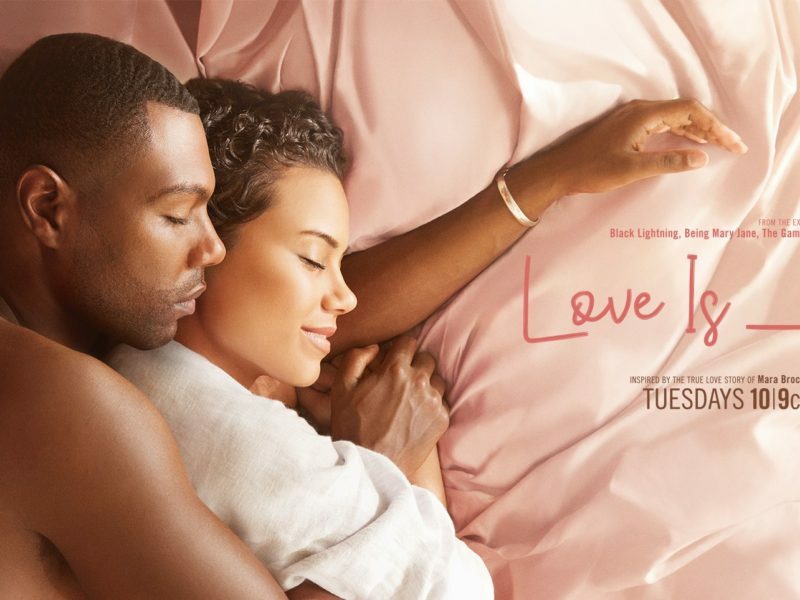 So I feel Nuri to her core when in episode 6 of Love Is___, she becomes unreasonably upset at her girl Angela for not choosing her as a writing partner at work and then choosing to go out with Keith after her. But that’s when, like Nuri, I need someone like Yasir to reel me back in and tell me I’m tripping. And Yasir isn’t exempt from this need either. In episode 7, when his pride in taking a stand against Valentine’s Day doesn’t allow him to see that Nuri needs him, his best friend, Sean, pulls him back in and helps him see things more clearly. Telling people what they need to hear — even when they don’t want to hear it — is all an act of love, and in the latest two episodes, both Nuri and Yasir get their fair share. Nuri’s in a love haze when her boss, Norman, calls her and Angela into his office. He tells her that Angela’s contract guarantees her two scripts so that the one he was planning on giving to Nuri has to go to Angela (he miscalculated). And, it’s up to Angela to determine if Nuri will be a co-writer or not. But Angela is angry that Norman put her in the position to tell Nuri no. They’re friends, yes, but not writing partners, Angela explains. It’s business, which means: It’s not what you want, but what you negotiate. And Angela negotiated the number of scripts, although it was promised to Nuri. Things further heat up when Nuri and Yasir go to a silent film festival and find Angela there with Keith — yes, “took Nuri on a ski trip” Keith. And Nuri becomes furious, even though she didn’t like Keith in the least bit, and doesn’t even give Angela a chance to explain why they’re there together. That’s when Yasir steps in. He tells Nuri that she’s overreacting. Because she is. Angela doesn’t like Keith. She was just offering him a ticket as a co-worker, which is totally a normal thing to do. And Keith, who’s still struggling with his sexuality, doesn’t like Angela either. So far, Nuri hasn’t been a vindictive or evil person, but in this episode, the irrationality her anger causes shines through. She even says she might out Keith to Angela, which is out of line even for the ‘90s. She knows better. Yasir tells her she’s being visceral and homophobic. She’s going to get a script, but this one isn’t for her, he pushes. And Nuri knows he’s right, but has an attitude every day, which she takes out on Yasir. Angela and Nuri make up. But Nuri hates that Yasir saw the real her during the process, the cracks. But they make a deal: Nuri will help Yasir stop smoking if he always promises to stop her from being a brat. And of course, Yasir agrees because like the older Yasir says: he was glad to give her “a place to land” because he loved being needed by her. Yasir has a job interview at a book store and he’s blowing it. He even says he doesn’t make reading about black people a priority. He’s walking out of the bookstore when he realizes he was letting his attitude mess up a serious opportunity. He gives a sincere apology to the manager saying that he was trying to stop smoking. The manager says he actually understands because he’s going through the same thing and gives Yasir the job. Little does he know that Nuri is also feeling inadequate in comparison to Yasir’s smarts. She has a Northwestern degree, a job she loves, and a brand new house she’s furnishing with several couches because she can’t find one she likes. But she feels as if Yasir is deeper than she is, and it brings a different kind of insecurity to the relationship. Yasir doesn’t know that, though, and he pushes his tendency to deep-think into his approach to Valentine’s Day, which he says he doesn’t celebrate because it’s a commercial holiday. Nuri says she doesn’t want to celebrate it if he doesn’t want to. But she does, and she feels kind of sad when the day comes and she’s left out of all of the festivities. Nuri didn’t take the advice of her mom, Carol, to “start like you want to finish,” and now, she’s defending her decision to not celebrate it. After a day at work with flowers and gifts and love being shared everywhere to everyone else, Nuri’s mom, grandma, and aunt are coming over her house for their annual “Singles’ Day.” Yasir asks Nuri one last time — but not sincerely — if she wants to cancel Singles’ Day and hang out with him. Nuri shrugs it off. Yasir, though, is going “home” — home is currently Ruby’s house, remember? — And it makes Nuri uncomfortable that he’ll be spending Valentine’s Day with his ex. He reminds her that Valentine’s Day doesn’t mean anything to him and says he’s just going home. But, ummm, it means something to Ruby, who goes off on Yasir about the mixed message going over there on Valentine’s Day (after days of being away) sends to her. News about my life can travel throughout my family in less than 24 hours. My mama can get news to her sister down the street in a few hours and to her sister in South Africa in just a few hours more. So I overstand how Nuri feels when her mom, grandma, and aunt come over and start to interrogate her about Yasir. “Why the hell did you let this man off the hook on Valentine’s Day?” Nuri’s auntie asks. Literally, this could be any one of my auntie’s saying this. I feel you, Nuri, girl. But all the inquiring minds want to know about this man who’s got her nose wide open. Her aunt even knows that he’s technically at his ex-girlfriend’s house because although Nuri’s mom only met Yasir less than 24 hours ago at this point, the news has traveled. They all go in on her, and Singles’ Day is over. Nuri’s mom checks her about putting her own needs above Yasir’s. Her mom is still trying to get her to get back together with her ex (a classic mama move) but there are some real gems in her chastising about how Nuri is behaving: “Don’t be so desperate to keep Yasir around that you give him everything,” she says — a statement, ironically, that my own mama has said to me before in so many words. “What?” Yasir asks, seriously confused. Sean tells Yasir that he’s pretending to be against the holiday when actually, he’s too broke to celebrate it. True. He also tells him that Nuri came looking for him at Ruby’s a couple of weeks back. (Ruby told Sean’s girl who told Sean who’s now telling Yasir.) Nuri’s confused, Sean says, because Yasir isn’t even claiming Nuri on the day she’s supposed to be claimed. Also, true. Yasir knocks on Nuri’s door five minutes to midnight. He admits that although he claims every day is Valentine’s Day, he needs to be real: he “hit the jackpot” with her, and he should make her feel special. She deserves, and he gives her the flowers he brought her: he knew which ones were her favorite by looking at her vision board. And of course, with an album in hand, he plays what he hopes can now be their song. It’s “Love Ballad” by L.T.D. by the way, and he tells her how he’s going to make sure he makes room for her in his life as she has in hers. Yasir is finally realizing that their traditions don’t have to be like everyone else’s, but they should be there. 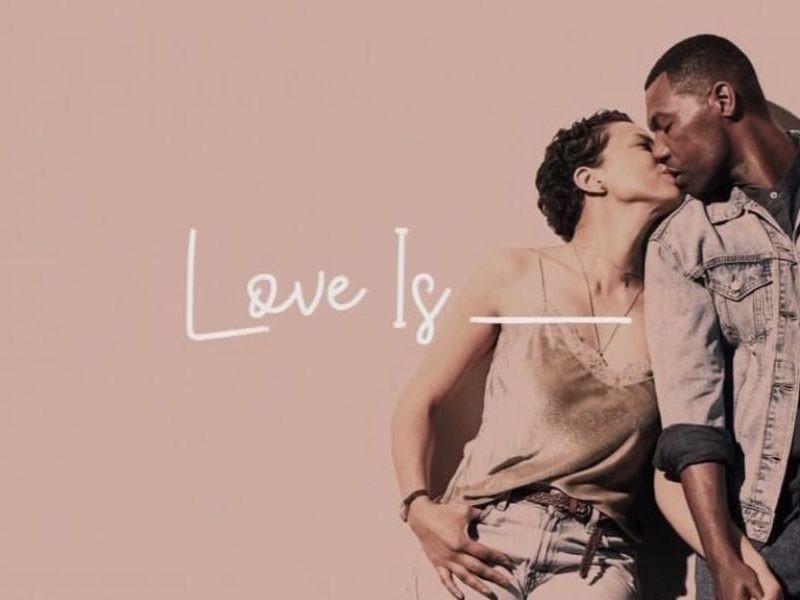 OWN announced this week that Love Is___ is renewed for a second season. So, you’ll be able to still tune into my recaps — or ignore my rambling, however you view it — for a whole new season. Yay!